13 August 1945. 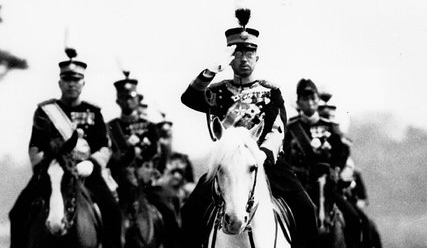 With Japan’s conditional surrender offer rejected, the Japanese leadership now faces the prospect of utter submission to the Allies and is strongly divided on the issue. There are even rumours of a military coup by army leaders seeking to fight to the end or hold out for better terms of surrender. Meetings continue into the night. The U.S. seeks to influence this debate by dropping leaflets over Japan, describing the Japanese offer of surrender and the Allied response. 13 August 1945. An all-country conference of the Indochinese Communist Party begins in Tan Trao, centre of a liberated zone north-west of Hanoi, the first such conference held in five years. Reflecting the dramatic news of an imminent Japanese surrender and fears of both a French return and Chinese intervention, delegates resolve that both the Soviet Union and the United States be won over to the Vietnamese cause. In addition, a five-man ‘Uprising Committee’ is established and orders go out that lead to some attacks on Japanese forces. However, by the time the conference ends on the 16th, delegates agree on a policy of caution in the uncertain strategic situation. 13 August 1945. In a speech in Yen’an to his cadres on the situation after the war, Mao Tse-tung emphasizes his determination in the face of a likely future conflict with the KMT. Chu Teh therefore refuses to comply with Chiang’s instruction to stand fast and await orders, and moves his troops toward Manchuria.